Need help planning a destination wedding on the coast? 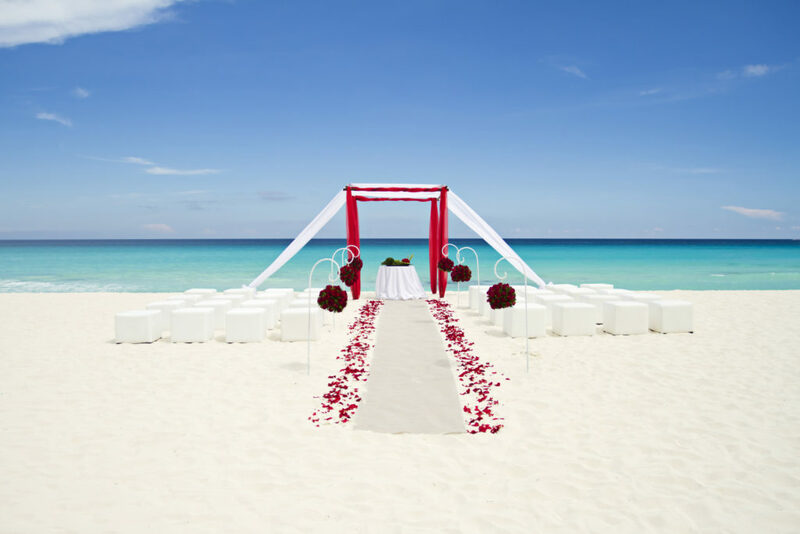 Destination weddings in the Caribbean are perfect for any couple looking to tie-the-knot while barefoot in the sand! As an added bonus, the limitless perks of all-inclusive wedding packages will give you and your one-and-only limitless perks. 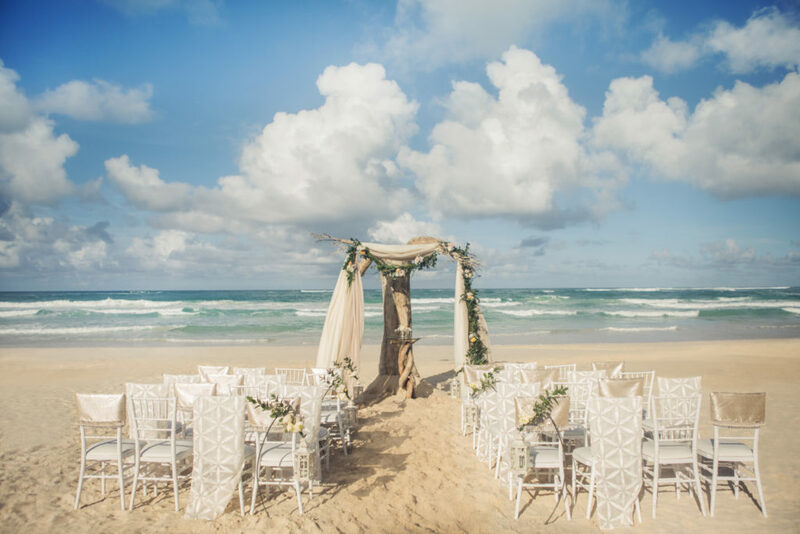 We’ve rounded up beautiful beach wedding venues for your dream destination wedding! 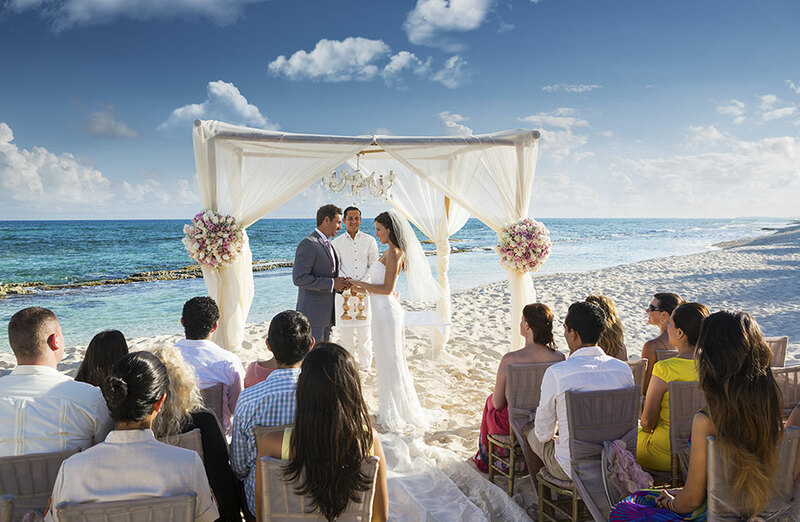 At the Hard Rock in Punta Cana, you can get married on the beach for free! Or, splurge and get fancy with one of Colin Cowie’s nine luxurious wedding collections, which take lavish destination weddings to a whole new level. Add a honeymoon package to get resort credit for breathtaking amenities and spa services! 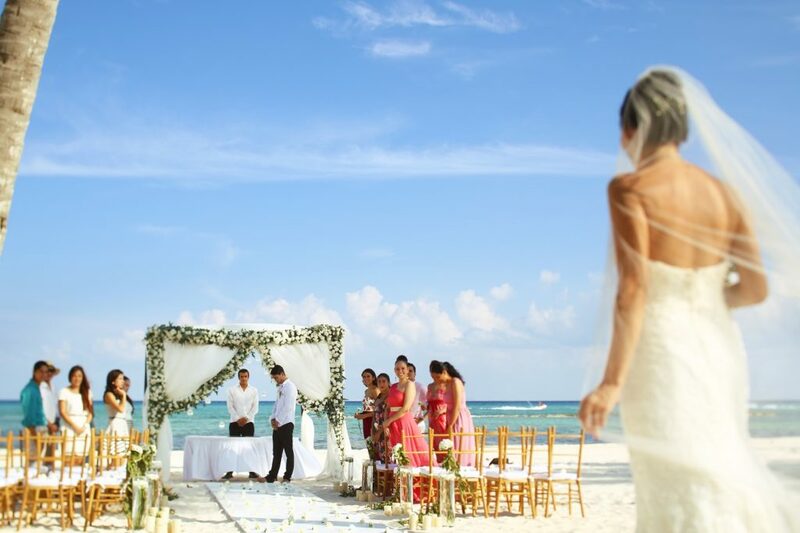 A beach wedding is as tropical and tailor-made as it gets at Excellence Riviera Cancun. This Mediterranean-inspired fantasy world is nestled on a white-sand beach and designed for romance. Choose from three different deluxe all-inclusive wedding packages, with upgraded perks like a couples massage, live music trio, photos and video, and hair and makeup. How ideal! Only at this Riviera Maya spa resort can you combine ancient ruins with a truly gourmet wedding experience. As part of the Karisma family, El Dorado Casitas Royale offers a wide range of all-inclusive wedding packages in six different Western styles! Delectable cuisine, decadent amenities and breathtaking backdrops offers an unforgettable wedding experience. 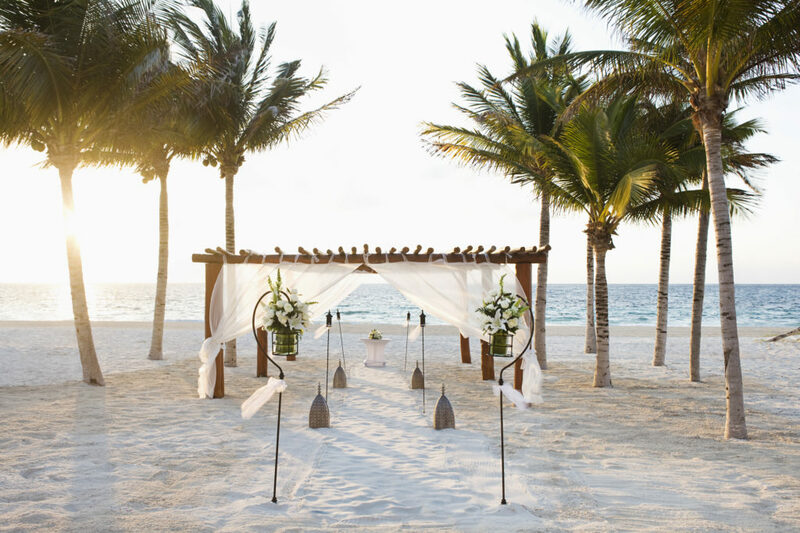 When it comes to casual destination weddings in Mexico, it’s easy to fall for Barcelo Maya Beach & Caribe’s oasis. 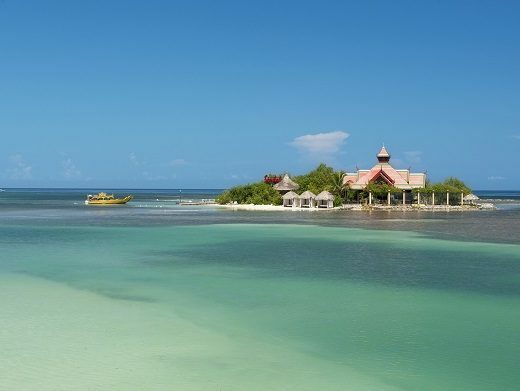 This resort has a real Catholic chapel for religious ceremonies, and several all-night beach wedding venues for more tropical celebrations. Wherever you choose as a location at Sandos Cancun Lifestyle Resort, views of the beautiful Caribbean sea are always accessible. 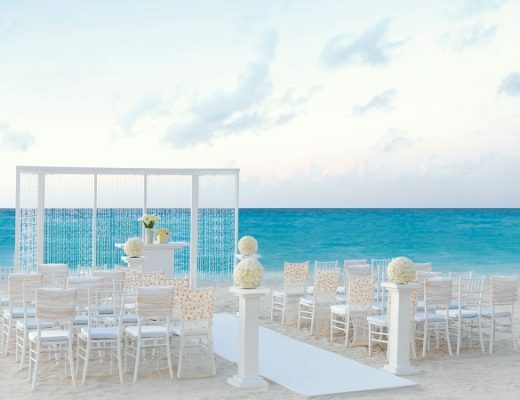 Pick a rooftop terrace with Caribbean views, a beachfront setup right in the sugar-white sand, or an oceanfront penthouse for your Cancun destination wedding. This amazing resort is a relaxing, unique property perfect for foodies and beach lovers alike, and every room has outstanding amenities. 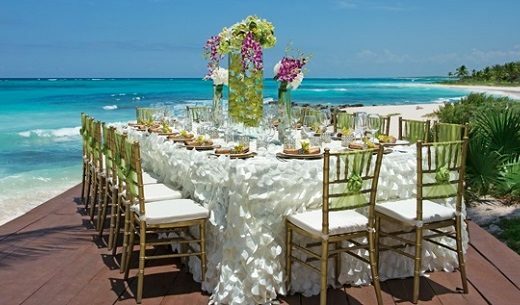 A beautiful beach wedding set-up awaits at Grand Velas Riviera Maya, where you can throw a big banquet celebration! Invite as many people as your hearts desire while this resort’s wedding packages make all of the planning. Of course, you choose every detail that goes into it – and don’t forget to take advantage of the resort’s lavish services! 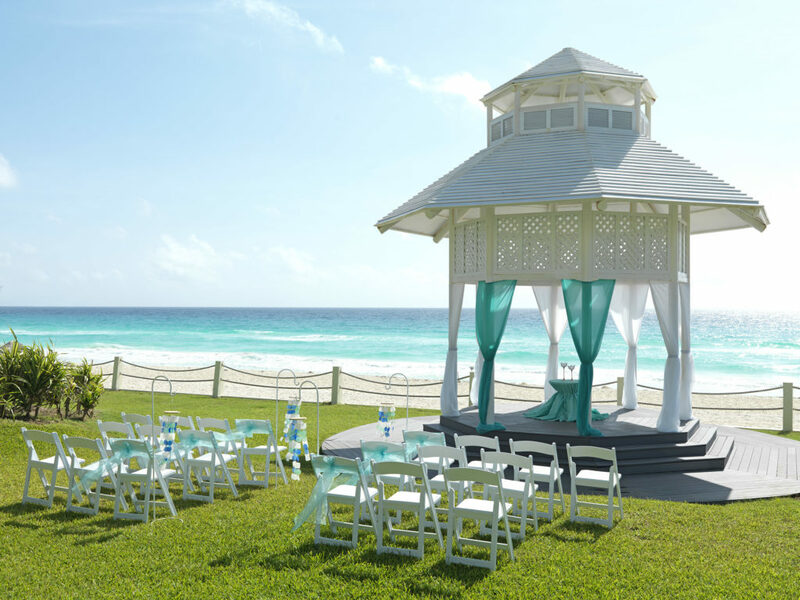 All-inclusive luxury from Paradisus Cancun means a selection of dream wedding packages for your big day. Choose from dozens of possible venues and hundreds of special amenities! Spa services, hair and makeup, and ceremonial touches like a bamboo canopy (or lanterns!) will create your dream wedding. Looking for more of our favorite beach wedding venues? 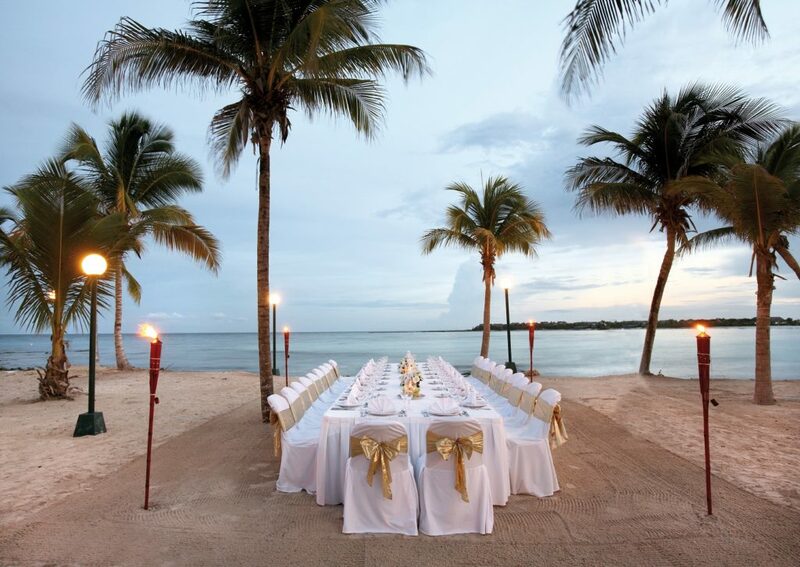 For more destination wedding inspiration, check out our website and Pinterest!